Cedric Alexander is an American professional wrestler who competes in Mid-Atlantic and Southern independent promos including, Ring of Honor. Cedric Alexander and Caprice Coleman are tag team partners in Ring of Honor. January 15, 2010 – CWF Mid-Atlantic: Troy Brolin defeated Cedric Alexander. February 14, 2010 – NWA: Chase Stevens defeated Cedric Alexander. February 19, 2010 – CWF Mid-Atlantic: Chase Dakota defeated Cedric Alexander. February 20, 2010 – CWF Mid-Atlantic: Chiva Kid defeated Canadian Mercenary 3, Cecil Scott, Cedric Alexander, Evan Banks, Michael McAllister and Hugh B. Johnson and Patrick Wright and Trevor Lee in a 9-way elimination match to become #1 contender for the Television title. March 6, 2010 – CWF Mid-Atlantic: Chase Dakota and Matt Smith defeated Cecil Scott and Trevor Lee, Cedric Alexander and Roo-D Lewis & Evan Banks and Michael McAllister in a 4-way tag team match to become #1 contenders for the tag team titles. March 8, 2010 – ROH TV (Taped): Necro Butcher defeated Cedric Alexander in a dark match. March 14, 2010 – NWA: Cedric Alexander defeated Drew Haskins. April 16, 2010 – CWF Mid-Atlantic: Cedric Alexander defeated Mark James. April 23, 2010 – NEW: Cedric Alexander defeated Bull Dredd. May 15, 2010 – CWF Mid-Atlantic: Jaxon Dane and Marcellus King defeated Cedric Alexander and Roo-D Lewis to retain the tag titles. May 21, 2010 – CWF Mid-Atlantic: Arik Royal, Cedric Alexander, Chiva Kid and Roo-D Lewis defeated Canadian Mercenary 3, Evan Banks, Mark James and Roland Banks in a tag team elimination match. May 29, 2010 – NWA Carolinas: George South and Jimmy Jack Funk defeated Cedric Alexander in a handicap match. June 4, 2010 – ACW/CCW: Cedric Alexander and Jake Manning defeated Mike Mosley and Nails. June 6, 2010 – NWA/EWA: George South Jr. and Reid Flair defeated Caleb Konley and Cedric Alexander in the semi-finals. June 18, 2010 – CWF Mid-Atlantic: The 3 Man Boy Band (Caleb Konley, Cedric Alexander and Roo-D Lewis) defeated Ray Kandrack, Trevor Lee and Ty Dillinger in the semi-finals. The Sindicate (Evan Banks, Michael McAllister and Roland Banks) defeated The 3 Man Boy Band (Caleb Konley, Cedric Alexander and Roo-D Lewis) to win the tournament and vacant International trios titles. June 19, 2010 – CWF Mid-Atlantic: Michael McAllister defeated Canadian Mercenary 3, Cecil Scott, Cedric Alexander, Justin Duke, Roo-D Lewis and Trevor Lee in a 6-way match to become #1 contender for the Television title. June 26, 2010 – FIP: Frankie Ciatso defeated Cedric Alexander. July 9, 2010 – CWF Mid-Atlantic: Justin Duke defeated Bobby Wohlfert, Brian Brody, Cedric Alexander, Roo-D Lewis and Roy Wilkins in a 6-way elimination match. July 31, 2010 – FIP: Cedric Alexander vs. Ronnie The Red ended in a no contest. August 8, 2010 – NWA: Chase Stevens defeated Cedric Alexander. August 27, 2010 – ROH Champions Challenge: Bobby Dempsey and Cedric Alexander defeated Caleb Konley and Jake Manning. August 28, 2010 – ROH Tag Wars: Cedric Alexander & The Bravado Brothers (Harlem Bravado and Lance Bravado) defeated Caleb Konley, Jake Manning and Marker Dillinger. September 3, 2010 – PSW: All Dat And Moore (Bobby Moore and D2daC) defeated Caleb Konley and Cedric Alexander to retain the tag titles. September 24, 2010 – NWA: Cedric Alexander defeated Jimmy Jack Funk Jr..
October 1, 2010 – NEW: Cedric Alexander defeated Jake Manning. October 2, 2010 – NEW: Cedric Alexander defeated Ryan McBride. October 23, 2010 – PWS: Xsiris defeated Cedric Alexander. November 5, 2010 – NEW: Robbie E defeated Cedric Alexander. November 19, 2010 – NWA Wrestle Birmingham: Cedric Alexander defeated Jake Manning. January 14, 2011 – ROH Champions vs All Stars: Bobby Shields and Orion Bishop defeated Adam Page and Cedric Alexander in a dark match. January 28, 2011 – ROH SoCal Showdown: The Bravado Brothers (Harlem Bravado and Lance Bravado) defeated Caleb Konley and Cedric Alexander. January 29, 2011 – PWG: Brandon Gatson, Candice LeRae, Cedric Alexander and Willie Mack defeated Caleb Konley, Jake Manning, ODB and Peter Avalon. February 4, 2011 – CWF Mid-Atlantic: Andrew Davis defeated Cedric Alexander. February 5, 2011 – CWF Mid-Atlantic: Ray Kandrack defeated Cedric Alexander to retain the Television title. February 25, 2011 – NWA: Cedric Alexander defeated Kid Kaos. February 26, 2011 – CWF Mid-Atlantic: Chiva Kid and Trevor Lee defeated Ben Tyler and Cedric Alexander. February 27, 2011 – F1: RV1 defeated Alex Colon, Cedric Alexander, Joel Maximo, Josh Adams and JT Roberts in a 6-way match. March 26, 2011 – NEW: Bull Dredd defeated Cedric Alexander. April 14, 2011 – NEW: Cedric Alexander defeated Jake Manning. April 16, 2011 – RPW: The Dark City Fight Club (Jon Davis and Kory Chavis) defeated Caleb Konley and Cedric Alexander to retain the NWA world tag titles. May 7, 2011 – CWF Mid-Atlantic: Cedric Alexander and Trevor Lee defeated Chris McVey and Lance Lude. May 13, 2011 – F1: Joel Maximo defeated Caleb Konley, Cedric Alexander, Joe Ettell, Josh Adams and Kevin Cunningham in a 6-way match. May 15, 2011 – RPW: Hot Like Lava (Cru Jones and Shaun Banks) defeated Caleb Konley and Cedric Alexander to qualify for the tag team titles tournament. May 22, 2011 – CWF Mid-Atlantic: Caleb Konley and Cedric Alexander defeated Aric Andrews and Louis Moore. Caleb Konley and Cedric Alexander defeated Coach Gemini’s All Stars (Michael McAllister and Ty Dillinger) to become #1 contenders for the tag team titles. June 5, 2011 – DGUSA: Jon Davis defeated AHTU, Caleb Konley, Cedric Alexander, Facade, Flip Kendrick, Louis Lyndon, Sugar Dunkerton and Tony Nese in a 9-way match. June 25, 2011 – CWF Mid-Atlantic: Jason Blade defeated Cedric Alexander to become #1 contender for the PWI Ultra J title. July 2, 2011 – CWF Mid-Atlantic: VA Bombers (Adam Page and Jason Blade) defeated 7OH!4 (Caleb Konley and Cedric Alexander) to retain the tag titles. July 8, 2011 – ROH Tag Team Turmoil: Adam Cole and Kyle O’Reilly defeated Caprice Coleman and Cedric Alexander in the semi-finals. July 9, 2011 – ROH No Escape: Caprice Coleman and Cedric Alexander defeated The House Of Truth (Chase Owens and Michael Elgin). July 23, 2011 – EVO: Marcellus King defeated Cedric Alexander to win the heavyweight title. July 24, 2011 – RPW: Cedric Alexander, Caleb Konley and Jimmy The Kid defeated Chip Day, Corey Hollis and Mike Posey. August 6, 2011 – NWA Legend Fanfest: Kyle O’Reilly defeated Cedric Alexander. August 21, 2011 – RPW: Cedric Alexander and Caleb Konley defeated Cru Jones and Shaun Banks by disqualification. August 25, 2011 – NYWC: PWI Ultra J-Cup champion Caleb Konley defeated Cedric Alexander and Jake Manning in a 3-way match to retain the title. September 2, 2011 – EVO: Cedric Alexander defeated Circo. September 4, 2011 – RPW: NWA RPW tag team champions AJ Steele and Murder-1 defeated Cedric Alexander and Caleb Konley. September 16, 2011 – CFW: Cedric Alexander and Caleb Konley defeated Ben Tyler and Trevor Lee. September 17, 2011 – CFW: CFW Mid-Atlantic tag team champions Walter Eaton and Roy Wilkins defeated Cedric Alexander and Caleb Konley to retain the titles. September 18, 2011 – RPW: Cedric Alexander and Caleb Konley defeated Sal Rinauro and Jimmy Rave. September 23, 2011 – PWX: Cedric Alexander defeated Rhett Titus. September 24, 2011 – PWX: Cedric Alexander and Caleb Konley defeated Corey Havoc and Joey Janela. October 8, 2011 – EVO: EVO heavyweight champion Marcellus King defeated Cedric Alexander to retain the title. October 21, 2011 – PWX: Cedric Alexander and Caleb Konley defeated Grizzly Redwood and Jake Manning. November 5, 2011 – CFW: Shaun Maddox and Shayne Maddox defeated Cedric Alexander and Caleb Konley. November 5, 2011 – ROH TV (Taped): ROH world tag team champions Charlie Haas and Shelton Benjamin defeated Caprice Coleman and Cedric Alexander. November 12, 2011 – NWA Anarchy: Cedric Alexander defeated Corey Hollis. November 19, 2011 – EVO: Joey Silvia defeated Cedric Alexander. November 26, 2011 – ROH TV: Caprice Coleman and Cedric Alexander vs. Jay and Mark Briscoe ended in a no contest when WGTT hit the ring with chairs to attack The Briscoes. December 3, 2011 – ROH Southern Defiance: The Briscoes defeated Caprice Coleman and Cedric Alexander. December 4, 2011 – ROH Northern Aggression: The Young Bucks defeated C&C Wrestle Factory (Cedric Alexander and Caprice Coleman). December 9, 2011 – PWX: Cedric Alexander defeated Corey Havoc by disqualification. December 10, 2011 – ROH TV (Taped): Cedric Alexander and Caprice Coleman defeated Lance and Harlem Bravado. December 10, 2011 – PWX: Cedric Alexander and Caleb Konley defeated Corey Havoc and Rhett Titus. December 23, 2011 – ROH Final Battle: The Young Bucks defeated The All Night Express, Future Shock, The Bravado Brothers and Caprice Coleman and Cedric Alexander. January 13, 2012 – EVO: Cedric Alexander defeated Kirby Mack in the 1st round. Zack Salvation defeated Cedric Alexander in the semi-finals. January 21, 2012 – ROH Underground: ROH tag team champions The Briscoe Brothers defeated Cedric Alexander and Caprice Coleman to retain the titles. January 28, 2012 – PWS: Mikey Whipwreck and TAJIRI defeated Cedric Alexander and Caleb Konley. January 29, 2012 – PWG: Cedric Alexander, B-Boy, Candice LeRae and Mascarita Dorada defeated Demus 316, Joey Ryan, Peter Avalon and Ray Rosas. February 10, 2012 – PWX: PWX heavyweight champion Rhett Titus defeated Cedric Alexander and Eddie Edwards in a 3-way to retain the title. February 11, 2012 – PWX: Cedric Alexander defeated Corey Hollis. February 25, 2012 – PWX: Jay Briscoe and Mark Briscoe defeated Cedric Alexander and Caleb Konley. February 25, 2012 – ROH TV (Taped): The Young Bucks (Matt and Nick Jackson) defeated Caprice Coleman and Cedric Alexander. March 9, 2012 – EVO: Cedric Alexander defeated Robyn Golphin. March 23, 2012 – NEW: NEW heavyweight champion Brian Anthony, Cedric Alexander, Adam Page, Caleb Konley, Ron Zombie and Tommy Dreamer in a 6-way ladder match to retain the title. March 24, 2012 – ROH TV: Caprice Coleman and Cedric Alexander defeated Charlie Haas and Shelton Benjamin. March 29, 2012 – ROH Showdown in the Sun Night 1: Charlie Haas and Shelton Benjamin defeated Caprice Coleman and Cedric Alexander. March 30, 2012 – ROH Showdown in the Sun Night 2: Tommaso Ciampa w/ The Embassy defeated Cedric Alexander w/ Caprice Coleman. April 12, 2012 – NWA Main Event: Cedric Alexander and Joe Black defeated Dyron Flynn and Se7en. April 13, 2012 – USWO: Gary Valiant and LT Falk defeated Cedric Alexander and Joe Black. April 28, 2012 – ROH TV: Caprice Coleman and Cedric Alexander beat world tag team champions Jay and Mark Briscoe to earn a future shot at the titles. April 29, 2012 – EVO: Cedric Alexander and Marcellus King defeated Zack Salvation and CIRCO. May 5, 2012 – PWX: Cedric Alexander and Caleb Konley defeated Kenny King and Rhett Titus. May 11, 2012 – RPW: The Sheik and Steven Walters defeated Cedric Alexander and John Skyler. May 12, 2012 – EVO: Cedric Alexander and Marcellus King defeated Corey Hollis and Chip Day. June 1, 2012 – NEW: NEW heavyweight champion Brian Anthony defeated Cedric Alexander, Bull Dredd, Adam Page and Caleb Konley in a 4-way to retain the title. June 2, 2012 – ROH TV: The All Night Express (Rhett Titus and Kenny King) defeated Caprice Coleman and Cedric Alexander. June 10, 2012 – RPW: Jimmy Rave and Kyle Matthews defeated Cedric Alexander and Caprice Coleman. June 15, 2012 – ROH The Nightmare Begins: Kenny King and Rhett Titus defeated Cedric Alexander and Caprice Coleman. June 23, 2012 – NWA Anarchy: Mike Posey defeated Cedric Alexander, Corey Hollis and Shirra Corvus in a 4-way to retain the title. June 24, 2012 – RPW: NWA North American heavyweight champion Shaun Tempers defeated Cedric Alexander to retain the title. June 30, 2012 – PWX: Cedric Alexander vs PWX heavyweight champion Zack Salvation ended in a no contest. July 6, 2012 – PWX: PWX tag team champions Chip Day and Corey Hollis defeated Cedric Alexander and Caprice Coleman & Grizzly Redwood and Jake Manning in a 4-way to retain the title. July 8, 2012 – WrestleForce: Cedric Alexander and Caprice Coleman defeated Brandon Paradise and Eric Bradford. August 18, 2012 – PWX: ROH heavyweight champion Kevin Steen defeated Cedric Alexander to retain the title. August 25, 2012 – EVO: EVO heavyweight champion Zack Salvation defeated Cedric Alexander, KC McKnight and Marcellus King in a 4-way to retain the title. August 25, 2012 – ROH TV (Taped): Caprice Coleman and Cedric Alexander defeated The Young Bucks (Matt and Nick Jackson) to advance in the tag title tournament. September 8, 2012 – ROH Cage Hostily: Caprice Coleman and Cedric Alexander defeated The Bravado Brothers. September 28, 2012 – EVO: Delirious, Eddie Edwards and Roderick Strong defeated Cedric Alexander, Marcellus King and Zack Salvation. October 5, 2012 – PWX: Eddie Edwards defeated Cedric Alexander. October 16, 2012 – ROH TV: Caprice Coleman and Cedric Alexander beat Steve Corino and Jimmy Jacobs by disqualification. November 24, 2012 – ROH TV: Caprice Coleman and Cedric Alexander defeated Shelton Benjamin and Charlie Haas. November 30, 2012 – PWX: Cedric Alexander defeated Davey Richards. December 8, 2012 – WrestleForce: Cedric Alexander defeated Anthony Henry. December 16, 2012 – Final Battle: The Briscoe Brothers defeated Cedric Alexander and Caprice Coleman & Steve Corino and Jimmy Jacobs to win the ROH tag team titles. January 11, 2013 – PWX: Adam Page defeated Cedric Alexander. January 15, 2013 – OMEGA: Cedric Alexander and Caprice Coleman defeated John Skyler and Steven Walters. January 19, 2013 – ROH TV: ROH tag team champions Jay and Mark Briscoe beat Caprice Coleman and Cedric Alexander to retain. February 9, 2013 – WrestleForce: WrestleForce champion Chase Stevens defeated Cedric Alexander to retain the title. February 9, 2013 – ROH TV (Taped): S.C.U.M. (Kevin Steen, Steve Corino, Jimmy Jacobs and Rhino) defeated Cedric Alexander, Caprice Coleman and world tag team champions Jay and Mark Briscoe. February 15, 2013 – EVO: Cedric Alexander defeated Anthony Henry in the 1st round. Corey Hollis defeated Cedric Alexander in the finals. February 16, 2013 – ROH TV: Caprice Coleman and Cedric Alexander vs Nick Westgate and Brian Fury fought to a no contest. February 22, 2013 – PWI: Adam Cole, Ben Tyler and Corey Hollis defeated Cedric Alexander, Chris Lea and Caleb Konley. February 23, 2013 – PWX: Cedric Alexander defeated Chip Day. March 9, 2013 – WrestleForce: Cedric Alexander defeated Anthony Henry. March 29, 2013 – PWX: Adam Page defeated Cedric Alexander. March 30, 2013 – ROH TV (Taped): Rhett Titus and Cliff Compton defeated Cedric Alexander and Caprice Coleman. March 30, 2013 – ROH Wars: The American Wolves (Davey Richards and Eddie Edwards) defeated Caprice Coleman and Cedric Alexander. April 5, 2013 – ROH Super Card of Honor: SCUM (Rhett Titus, Rhino, Jimmy Jacobs, Jimmy Rave and Cliff Compton) defeated BJ Whitmer, Mark Briscoe, Mike Mondo, Caprice Coleman and Cedric Alexander. April 13, 2013 – ROH TV: ROH TV champion Mark Briscoe defeated Caprice Coleman, BJ Whitmer, Mike Mondo and Cedric Alexander. 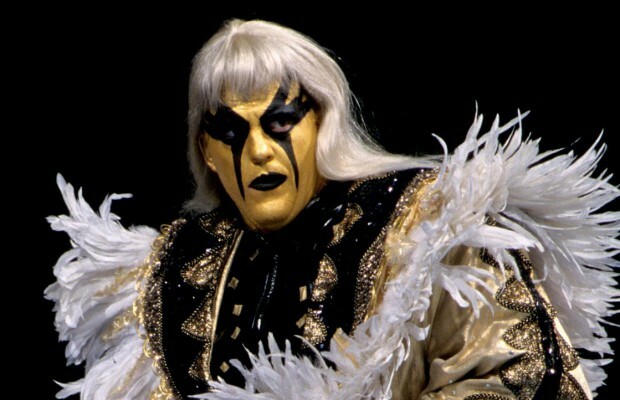 April 20, 2013 – WrestleForce: Cedric Alexander, John Skyler and Brady Pierce defeated BJ Hancock, Caleb Konley and Michael Frehley. April 26, 2013 – PWX: The Briscoe Brothers defeated Caprice Coleman and Cedric Alexander. April 27, 2013 – EVO: Cedric Alexander defeated Mr. Elite. May 4, 2013 – ROH Border Wars: Caprice Coleman and Cedric Alexander defeated ACH and Tadarius Thomas. May 17, 2013 – WrestleForce: Cliff Compton and Rhett Titus defeated Cedric Alexander and Caprice Coleman. May 18, 2013 – ROH TV (Taped): Cliff Compton and Rhett Titus defeated Caprice Coleman and Cedric Alexander. May 24, 2013 – Pro Wrestling Evo: Corey Hollis defeated Cedric Alexander to win the EVO Heavyweight title in a 30 minutes iron match. May 25, 2013 – OMEGA – Support the Sport: Caprice Coleman and Cedric Alexander defeated Davey Richards and Kyle O’Reilly. May 26, 2013 – PWX Hunt for Gold: Cedric Alexander defeated Kyle O’Reilly. June 1, 2013 – ROH TV: Caprice Coleman and Cedric Alexander defeated QT Marshall and RD Evans & TaDarius Thomas and ACH in a 3-way tag team match. June 8, 2013 – ROH Live and Let Die: Davey Richards defeats Cedric Alexander. June 15, 2013 – WrestleForce: Vordell Walker defeated Cedric Alexander. June 15, 2013 – ROH TV (Taped): C&C Wrestle Factory and Jay Lethal defeated ROH world tag team champions reDRagon and ROH world TV champion Matt Taven. June 22, 2013 – ROH Best in the World: ROH tag team champions ReDRagon defeated SCUM and C&C in a 3-way match to retain. June 28, 2013 – EVO: Cedric Alexander defeated Trevor Lee. July 6, 2013 – CWF Mid Atlantic: Cedric Alexander defeated Brandon Day. July 6, 2013 – ROH TV (Taped): Caprice Coleman and Cedric Alexander defeated John Silver and Alex Reynolds. July 13, 2013 – ROH TV: ROH tag team champion reDRagon (Bobby Fish and Kyle O’Reilly) defeated Caprice Coleman and Cedric Alexander to retain the titles. August 3, 2013 – ROH All-Star Extravaganza: ACH and Tadarius Thomas defeated Cedric Alexander and Caprice Coleman & The Young Bucks in a 3-way match. August 16, 2013 – PWX Live and in Demand: Cedric Alexander defeated Johnny Gargano. August 17, 2013 – ROH Manhattan Mayhem: Caprice Coleman and Cedric Alexander defeated ACH and Tadarius Thomas. August 24, 2013 – ROH TV: Cedric Alexander and Caprice Coleman defeated Zizou Middoux and Mike Sydal. September 6, 2013 – ROH Road to Greatness night 1: Kyle O’Reilly defeated Cedric Alexander. September 7, 2013 – ROH Road to Greatness night 2: Bobby Fish and Kyle O’Reilly defeated Cedric Alexander and Caprice Coleman & Tadarius Thomas and ACH and Corey Hollis and Mike Posey in a 4-way tag team proving ground match. September 14, 2013 – NWA Smoky Mountain: Chase Owens defeated Cedric Alexander. September 20, 2013 – ROH Death Before Dishonor: ACH, Tadarius Thomas, Caprice Coleman and Cedric Alexander defeated Matt Taven, Mike Bennett, Bobby Fish and Kyle O’Reilly. October 5, 2013 – ROH Charm City Challenge: ROH TV champion Matt Taven defeated Cedric Alexander to retain the title. October 12, 2013 – OMEGA: Ric Converse and Xsiris defeated Cedric Alexander and Caprice Coleman. October 13, 2013–FSPW: Roy Wilkins defeated Cedric Alexander. October 18, 2013–PWX: Cedric Alexander defeated Rich Swann. October 25, 2013–AAW: Chuck Taylor and Johnny Gargano defeated Caprice Coleman and Cedric Alexander. October 26, 2013–ROH Glory by Honor: Caprice Coleman, Cedric Alexander, Jay Lethal and Michael Elgin defeated Adam Cole, Bobby Fish, Kyle O’Reilly and Matt Taven. November 2, 2013–NWA Smoky Mountain: Damien Wayne and Lance Erikson defeated Caprice Coleman and Cedric Alexander to win the vacant tag team titles. November 15, 2013–ROH Pursuit: Cedric Alexander defeated Bobby Fish and Tadarius Thomas in a 3-way match. November 16, 2013–ROH Pursuit: ROH tag team champions Bobby Fish and Kyle O’Reilly defeated Caprice Coleman and Cedric Alexander to retain the titles. November 22, 2013–PWX: Cedric Alexander defeated Chris Hero. November 23, 2013–PWX: PWX heavyweight champion Caleb Konley defeated Cedric Alexander, Adam Page and Corey Hollis in a 4-way to retain the title. November 30, 2013–WrestleCade: Caprice Coleman and Cedric Alexander won a tag team gauntlet. December 28, 2013 – CWF Mid-Atlantic: Lance Lude defeated Aaron Biggs, Cedric Alexander, Jason Miller and Mark James in a 5-way match. January 17, 2014 – PWX: Adam Page and Corey Hollis defeated Caleb Konley and Cedric Alexander. January 18, 2014 – PWX: Cedric Alexander defeated Michael Elgin. January 25, 2014 – ROH Wrestling’s Finest: Cedric Alexander defeated Andrew Everett. February 1, 2014 – ROH TV (Taped): Michael Bennett defeated Cedric Alexander. February 1, 2014 – NWA Smoky Mountain: Cedric Alexander defeated Matt Conard. February 8, 2014 – ROH State of the Art: Jimmy Jacobs defeated Cedric Alexander. February 9, 2014 – WrestleForce: Wrestleforce champion Cedric Alexander defeated Anthony Henry and Jon Malus in a 3-way to retain the title. Caleb Konley defeated Cedric Alexander to win the Wrestleforce title. February 15, 2014 – PWX: PWX heavyweight champion Caleb Konley defeated Cedric Alexander to retain the title. February 21, 2014 – ROH 12th Year Anniversary Show: BJ Whitmer, Jimmy Jacobs and Roderick Strong defeated Cedric Alexander, Adam Page and Mark Briscoe. February 28, 2014 – BTW: Josh Powers and Zane Riley defeated Alex Avgerinos and Cedric Alexander. March 7, 2014 – ROH Raising the Bar: BJ Whitmer and Jimmy Jacobs defeated Cedric Alexander and Adam Page. March 8, 2014 – ROH Raising the Bar: Kevin Steen defeated Cedric Alexander. March 14, 2014 – PWX: Cedric Alexander defeated Shane Strickland. March 15, 2014 – PWX: Cedric Alexander defeated Jake Manning. March 16, 2014 – PWX: Cedric Alexander defeated Caprice Coleman. March 22, 2014 – ROH Flyin’ High: Michael Elgin defeated Cedric Alexander. March 28, 2014 – PWG: Andrew Everett defeated Cedric Alexander and Trevor Lee in a 3-way match. March 30, 2014 – WrestleForce: Cedric Alexander defeated Caleb Konley to win the Wrestleforce title. April 4, 2014 – ROH Super Card of Honor: Roderick Strong defeated Cedric Alexander. April 5, 2014 – WrestleCon: Andrew Everett defeated Cedric Alexander and Trevor Lee in a 3-way match. April 13, 2014 – WrestleForce: WrestleForce champion Cedric Alexander defeated Caleb Konley to retain the title. April 18, 2014 – PWX: Cedric Alexander defeated PWX heavyweight champion Caleb Konley by disqualification. Caleb Konley retains the title. April 26, 2014 – ROH TV (Taped): BJ Whitmer defeated Cedric Alexander. April 26, 2014 – OMEGA: Cedric Alexander defeated Xsiris in the 1st round. May 4, 2014 – WrestleForce: Team Cedric (Billy Brash, Brady Pierce, Cedric Alexander and Jesse Windham) defeated Team Caleb (Hexx, Lance Bravado, Lancelot Bravado and Vordell Walker) in a tag team elimination match. May 10, 2014 – ROH/NJPW Global Wars: Cedric Alexander defeated Roderick Strong. May 17, 2014 – ROH TV: Kyle O’Reilly and Bobby Fish defeated Andrew Everett and Cedric Alexander. May 23, 2014 – PWG: Kevin Steen and The Young Bucks defeated Cedric Alexander, Johnny Gargano and Trevor Lee. May 24, 2014 – PWX: PWX heavyweight champion Caleb Konley vs. Cedric Alexander ended in a no contest to retain the title. May 25, 2014 – PWX: Cedric Alexander defeated Caleb Konley in a no count-out, no disqualification match to win the heavyweight title. June 1, 2014 – FSPW: Cedric Alexander defeated Drew Myers in the 1st round. Joe Black defeated Cedric Alexander in the semi-finals. June 6, 2014 – ROH Road to Best in the World: ACH defeated Caprice Coleman, Cedric Alexander, Kyle O’Reilly, Matt Taven and Silas Young in a 6-way match to become #1 contender for the ROH world title. June 7, 2014 – ROH Road to Best in the World: Cedric Alexander defeated Tadarius Thomas. June 21, 2014 – NWA Smoky Mountain: Chase Owens defeated Adam Page, Cedric Alexander and Trevor Lee in a 4-way match. June 22, 2014 – ROH Best in the World: Cedric Alexander defeated Roderick Strong in a submission match. June 28, 2014 – PWX: PWX heavyweight champion Cedric Alexander defeated PWX Innovative champion Lance Lude to unify both titles. June 29, 2014 – WrestleForce: WrestleForce champion Cedric Alexander defeated Vordell Walker to retain the title. July 12, 2014 – ROH Summer Heat Tour: Cedric Alexander defeated Kyle O’Reilly. July 18, 2014 – ROH Summer Heat Tour: Adam Page, BJ Whitmer and Jimmy Jacobs defeated Cedric Alexander, Caprice Coleman and ACH. July 26, 2014 – PWG: ACH defeated Cedric Alexander. August 2, 2014 – NWA Mid-Atlantic: Cedric Alexander defeated Chris Sabin. August 3, 2014 – NWA Mid-Atlantic: Chris Sabin defeated Cedric Alexander and Trevor Lee in a 3-way match. August 15, 2014 – ROH Field of Honor: Cedric Alexander defeated ACH. August 16, 2014 – PWX: PWX heavyweight champion Cedric Alexander defeated Marcellus King to retain the title. August 22, 2014 – ROH Death Before Dishonor: ACH defeated Adam Page, BJ Whitmer, Bobby Fish, Cedric Alexander and Jay Lethal in a 6-way match. August 29, 2014 – PWG: Trevor Lee defeated Cedric Alexander in the 1st round. August 30, 2014 – ROH TV: ROH world champion Michael Elgin defeated Cedric Alexander to retain the title. September 6, 2014 – ROH All Star Extravaganza: ROH TV champion Jay Lethal defeated Cedric Alexander to retain the title. September 13, 2014 – PWX: Cedric Alexander and Chip Day defeated Cirko and Marcellus King by disqualification. September 14, 2014 – WrestleForce: Wrestleforce champion Cedric Alexander vs. John Skyler ended in a time limit draw to retain the title. September 20, 2014 – OMEGA: Cedric Alexander vs. CW Anderson ended in a time limit draw. October 3, 2014 – SLA: ACH defeated Cedric Alexander. October 9, 2014 – ROH Michael Bennett’s Bachelor Party Hosted By Adam Cole: Cedric Alexander defeated ACH. October 11, 2014 – ROH TV (Taped): Cedric Alexander was in the #1 contender battle royal for the ROH world title won by Mike Bennett. October 11, 2014 – ROH Champions vs. All Stars: Christopher Daniels defeated Cedric Alexander. October 17, 2014 – PWG: Cedric Alexander defeated Bobby Fish. October 18, 2014 – ROH TV (Taped): Adam Cole defeated Cedric Alexander. October 18, 2014 – NEW: Jimmy Preston defeated Cedric Alexander. October 19, 2014 – PWX: PWX heavyweight champion Cedric Alexander defeated Marcellus King in a no holds barred match to retain the title. November 1, 2014 – PWN: Cedric Alexander defeated BJ Whitmer. November 2, 2014 – WrestleForce: Wrestleforce champion Cedric Alexander vs. John Skyler ended in a time limit draw to retain the title. November 7, 2014 – ROH Survival of the Fittest: Adam Page defeated Cedric Alexander. November 8, 2014 – ROH TV (Taped): Cedric Alexander defeated Tommaso Ciampa by disqualification. November 8, 2014 – ROH Survival of the Fittest: ROH TV champion Jay Lethal defeated Cedric Alexander to retain the title. November 23, 2014 – PWF: PWF WORLD-1 champion Cedric Alexander defeated Jagger to retain the title. November 29, 2014 – ROH/PCW Super Show #1: Joey Hayes defeated ACH, Cedric Alexander, Charlie Garrett, Dean Allmark and El Ligero in a 6-way match. November 30, 2014 – ROH/PCW Super Show #2: Martin Kirby defeated Cedric Alexander. November 30, 2014 – ROH/PCW Super Show #3: Cedric Alexander defeated ACH, Bobby Fish, Martin Kirby, Noam Dar and Roderick Strong in a 6-way match. November 30, 2014 – ROH/PCW Super Show #4: ACH defeated Cedric Alexander. December 7, 2014 – ROH Final Battle: ACH and The Young Bucks defeated Cedric Alexander, Christopher Daniels and Frankie Kazarian. December 20, 2014 – ROH TV: Tommaso Ciampa defeated Cedric Alexander in a no disqualification match. December 27, 2014 – CWF Mid-Atlantic: PWI Ultra J champion Ethan Case defeated Cedric Alexander, Chase Dakota and Lance Lude in a 4-way match to retain the title. December 28, 2014 – WrestleForce: John Skyler defeated Cedric Alexander to win the Wrestleforce title. January 10, 2015 – NSPW: NSPW junior heavyweight champion Travis Toxic defeated Cedric Alexander to retain the title. January 16, 2015 – PWF: CW Anderson, Joe Joe Dancer and Steve Corino defeated Cedric Alexander, Josh Powers and The Monster C in a 6-way elimination match. January 17, 2015 – ROH TV (Taped): Frankie Kazarian defeated Cedric Alexander. January 17, 2015 – ESW: Asylum defeated Cedric Alexander. January 18, 2015 – A1: A1 Alpha Male champion Brent Banks defeated Cedric Alexander and Josh Alexander in a 3-way match to retain the title. January 31, 2015 – PWN: Cedric Alexander vs. Chip Day ended in a time limit draw. February 8, 2015 – WrestleFforce: Cedric Alexander defeated Corey Hollis. February 13, 2015 – PWF: PWF WORLD-1 heavyweight champion Cedric Alexander defeated Joe Joe Dancer to retain the title. February 14, 2015 – ROH TV: AJ Styles and The Young Bucks defeated ACH, Cedric Alexander and Matt Sydal. February 15, 2015 – HRW: Cedric Alexander defeated Jonathan Gresham. February 22, 2015 – PWX: PWX heavyweight champion Cedric Alexander defeated Caleb Konley to retain the title. March 7, 2015 – wXw: Axel Tischer defeated Cedric Alexander, Chris Sabin and Uhaa Nation in a 4-way match to become #1 contender for the shotgun title. March 8, 2015 – wXw: Da Mack and Uhaa Nation defeated Cedric Alexander and Andrew Everett. March 20, 2015 – PWF: Jagger defeated Cedric Alexander to win the PWF WORLD-1 heavyweight title. March 21, 2015 – PWX: PWX heavyweight champion Cedric Alexander defeated Zane Riley to retain the title. March 22, 2015 – PWX: PWX heavyweight champion Cedric Alexander defeated PJ Black to retain the title. March 28, 2015 – WrestleCon: Brian Kendrick defeated Cedric Alexander. April 18, 2015 – ROH TV (Taped): Michael Elgin defeated Cedric Alexander. April 24, 2015 – MCW: Brian Cage defeated Cedric Alexander. April 25, 2015 – CWF Mid-Atlantic: Otto Schwanz defeated Cedric Alexander. April 26, 2015 – Wrestleforce: Cedric Alexander defeated Sixx by disqualification. May 2, 2015 – OMEGA: Caprice Coleman and Cedric Alexander defeated The Bravado Brothers. May 3, 2015 – FSPW: FSPW heavyweight champion Chris Lea defeated Cedric Alexander to retain the title. May 15, 2015 – ROH/NJPW Global Wars: Kazuchika Okada defeated Cedric Alexander. May 22, 2015 – AIW: Cedric Alexander defeated Colin Delaney in the 1st round. May 23, 2015 – AIW: DJ Z defeated Cedric Alexander in the 2nd round. May 30, 2015 – WrestleMerica: Tama Tonga defeated Cedric Alexander, Brian Myers and Micah in a 4-way elimination match. June 13, 2015 – IWC: Cedric Alexander defeated Sugar Dunkerton in the 1st round. Raymond Rowe defeated Cedric Alexander in the semi-finals. June 13, 2015 – ROH TV (Taped): Cedric Alexander defeated Moose. June 14, 2015 – PWX: PWX heavyweight champion John Skyler defeated Cedric Alexander to retain the title. June 19, 2015 – ROH Best in the World: Hanson and Ray Rowe defeated Caprice Coleman and Cedric Alexander. June 26, 2015 – PWF: Cedric Alexander and Jagger vs. Reggie Reason and Timmy Lou Retton ended in a no contest. June 27, 2015 – CWF Mid-Atlantic: Cedric Alexander defeated Smith Garrett. June 28, 2015 – AML: Sonjay Dutt defeated Cedric Alexander by disqualification. July 3, 2015 – WrestleForce: Cedric Alexander defeated Adam Page. July 10, 2015 – AIW: Louis Lyndon defeated ACH, Candice LeRae, Cedric Alexander, Flip Kendrick and Tyler Thomas in a 6-way match. July 12, 2015 – PWX: Roderick Strong defeated Cedric Alexander. July 24, 2015 – ROH Death Before Dishonor: Cedric Alexander defeated Moose. July 26, 2015 – AML: Cedric Alexander defeated Caprice Coleman. August 1, 2015 – Mid-Atlantic: Cedric Alexander defeated Peter Kaasa. August 1, 2015 – ROH TV (Taped): Cedric Alexander defeated The Romantic Touch. August 8, 2015 – NWA Smoky Mountain: Cedric Alexander defeated Shawn Schultz. August 16, 2015 – PWX: Cedric Alexander defeated Matt Sydal. August 22, 2015 – ROH Field of Honor: Cedric Alexander was in the #1 contenders, gauntlet match for the ROH world title won by Takaaki Watanabe. August 29, 2015 – ROH Reloaded Tour: Cedric Alexander defeated Corey Hollis. Jay Briscoe and Moose defeated Adam Page and Cedric Alexander. August 29, 2015 – ROH TV (Taped): Caprice Coleman defeated Cedric Alexander. August 30, 2015 – AWE: GWC champion Jimmy Rave defeated Cedric Alexander to retain the title. September 4, 2015 – PWX: Cedric Alexander defeated Darius Lockhart. September 5, 2015 – PWX: Cedric Alexander defeated Tessa Blanchard in the 1st round. September 6, 2015 – PWX: Cedric Alexander defeated David Starr in the quarter-finals. Ethan Case defeated Cedric Alexander to win the tournament. September 11, 2015 – ROH Reloaded Tour: ROH TV champion Jay Lethal defeated Cedric Alexander, Dalton Castle and Mark Briscoe in a 4-way defy or deny match to retain the title. September 12, 2015 – ROH Reloaded Tour: Jay Briscoe defeated Cedric Alexander. September 12, 2015 – ROH TV (Taped): Cedric Alexander defeated Dalton Castle. September 13, 2015 – AWE: Cedric Alexander defeated Chip Day and Iceberg and Ken Lee and Owen Knight and Sugar Dunkerton and The Dark Mon in a 7-way match to become #1 contender for the GWC title. September 18, 2015 – ROH All Star Extravaganza: Moose defeated Cedric Alexander in a no disqualification match. September 20, 2015 – A1: A1 Zero Gravity champion Ricky Shane Page defeated Cedric Alexander to retain the title. September 27, 2015 – AML: AML champion Caprice Coleman defeated Cedric Alexander by disqualification to retain the title. October 3, 2015 – PWA: Cedric Alexander vs. Kyle Matthews ended in a 30 minutes time limit draw. October 4, 2015 – AWE: David Starr defeated Cedric Alexander to become #1 contender for the GWC title. Adrian Armour, Cedric Alexander, Shane Strickland and Sylar Cross defeated The Hierarchy (Chip Day, Iceberg, Jimmy Rave and Murder-1) by count-out. October 16, 2015 – AIW: Candice LeRae defeated Cedric Alexander. October 17, 2015 – PWA: PWA Heritage champion Jimmy Rave defeated Kyle Matthews and Cedric Alexander in a 3-way match to retain the title. October 18, 2015 – AWE: Adrian Armour and Cedric Alexander defeated Iceberg and Murder-1 by disqualification. October 24, 2015 – ROH Glory by Honor: Cliff Compton defeated Adam Page, Bob Evans and Cedric Alexander in a 4-way match. October 24, 2015 – ROH TV (Taped): Dalton Castle defeated Cedric Alexander. October 25, 2015 – AML: AML champion Caprice Coleman defeated Cedric Alexander to retain the title. November 1, 2015 – WrestleForce: The Bravado Brothers (Harlem Bravado & Lancelot Bravado), Cedric Alexander & Chase Stevens defeated Country Jacked (Adam Page & Corey Hollis), BJ Hancock & John Skyler in a tag team elimination match. November 7, 2015 – CWF Mid-Atlantic: Cedric Alexander defeated Chet Sterling to win the CWF Mid-Atlantic TV title. November 7, 2015 – ROH TV (Taped): ACH defeated Cedric Alexander. November 13, 2015 – ROH Survival of the Fittest: Roderick Strong defeated Cedric Alexander in the 1st round. November 14, 2015 – ROH Survival of the Fittest: Cedric Alexander defeated Will Ferrara. November 15, 2015 – A1: Alex Daniels defeated Cedric Alexander. November 21, 2015 – OMEGA: CWF Mid-Atlantic TV champion Cedric Alexander defeated Jake Manning to retain the title. November 27, 2015 – ROH/PCW Super Show #1: Cedric Alexander, Lionheart & War Machine (Hanson & Ray Rowe) defeated Ashton Smith, Charlie Garrett, Dave Rayne & Iestyn Rees. November 28, 2015 – ROH/PCW Super Show #2: Noam Dar defeated Cedric Alexander. November 28, 2015 – ROH/PCW Super Show #3: Dalton Castle defeated Ashton Smith, Cedric Alexander, Charlie Garrett, Martin Kirby and Silas Young in a 6-way match. November 29, 2015 – ROH/PCW Super Show #4: Kenny King defeated Cedric Alexander. December 17, 2015 – WrestleMerica: Cedric Alexander defeated Chase Owens. December 19, 2015 – ROH TV (Taped): Cedric Alexander, Mark Briscoe, Matt Jackson, Moose and Roderick Strong defeated Adam Page, Cheeseburger, Cliff Compton, Jay Briscoe and Jay Lethal. December 20, 2015 – WrestleForce: Cedric Alexander defeated BJ Hancock. Cedric Alexander was also in the rumble match won by Jon Malus. December 26, 2015 – CWF Mid-Atlantic: Smith Garrett defeated Cedric Alexander to win the TV title. December 27, 2015 – AWE: Chip Day defeated Cedric Alexander. January 2, 2016 – ROH TV (Taped): Jonathan Gresham defeated Cedric Alexander. January 10, 2016 – PWX: Cedric Alexander defeated Michael Elgin. January 23, 2016 – ROH TV (Taped): Jonathan Gresham defeated Cedric Alexander by disqualification. Cedric Alexander defeated Cheeseburger. January 23, 2016 – ROH Winter Warriors Tour: Cedric Alexander defeated Mark Briscoe. January 29, 2016 – PWF: Joseph Black defeated Cedric Alexander. January 30, 2016 – AML: Cedric Alexander defeated Caleb Konley. February 19, 2016 – CWF Mid-Atlantic: Cedric Alexander defeated Jesse Adler. February 20, 2016 – PWX: The Bravado Brothers defeated Cedric Alexander and Chip Day. March 4, 2016 – PWF: Cedric Alexander vs. Colby Corino ended in a time limit draw. March 5, 2016 – PWF: Cedric Alexander defeated Asaafi. March 11, 2016 – Legacy Wrestling: Legacy Wrestling heavyweight champion Eddie Smooth defeated Cedric Alexander to retain the title. March 12, 2016 – ROH Conquest Tour: Adam Page and Jonathan Gresham defeated BJ Whitmer and Cedric Alexander. March 18, 2016 – AIW: Johnny Gargano defeated Cedric Alexander, Joey Janela and Louis Lyndon in a 4-way match. March 19, 2016 – ROH TV (Taped): ROH TV champion Tomohiro Ishii defeated Cedric Alexander to retain the title. March 31, 2016 – SWE: Cedric Alexander and White Tiger defeated The Pledge and Joseph Conners. April 2, 2016 – SWE: Martin Kirby defeated Cedric Alexander. April 3, 2016 – PCW: Bubblegum defeated Cedric Alexander. April 9, 2016 – SWE: Cedric Alexander defeated Chris Ridgeway. Chris Ridgeway defeated Cedric Alexander, Stixx and Travis Banks in a 4-way match. April 16, 2016 – WrestleMerica: Cedric Alexander defeated Gunner 2-1 in a 30 minutes iron man match. April 17, 2016 – PWX: Cedric Alexander defeated Ethan Case. April 23, 2016 – AML: Cedric Alexander defeated Axton Ray, Jordan Kage and Joseph Black in a 4-way match. April 29, 2016 – BTW: Danny Miles defeated Cedric Alexander and Harlem Bravado in a 3-way match. April 30, 2016 – CWF Mid-Atlantic: Cedric Alexander defeated Ethan Case to win the PWI Ultra J title. CWF Mid-Atlantic heavyweight champion Trevor Lee defeated Cedric Alexander to retain the title. May 6, 2016 – NOVA: PWI Ultra J champion Cedric Alexander defeated Bobby Shields to retain the title. May 13, 2016: Cedric Alexander announced on Twitter that he left the Ring of Honor wrestling company after 5 years with them. May 14, 2016 – ROH/NJPW: War of the Worlds: Donovan Dijak defeated Cedric Alexander. May 15, 2016 – GFW/AML: GFW NEXGEN champion Sonjay Dutt defeated Cedric Alexander to retain the title. May 21, 2016 – NSPW: NSPW junior heavyweight champion Matt Angel defeated Cedric Alexander to retain the title. May 28, 2016 – AIW: Alex Daniels defeated Cedric Alexander, DJ Z and Louis Lyndon in a 4-way semi-finals match of the JT Lightning Invitational Tournament. June 4, 2016 – NEW: Cedric Alexander defeated Harlem Bravado and Zane Riley in a 3-way match. June 10, 2016 – EVOLVE 62: Matthew Riddle defeated Cedric Alexander. June 11, 2016 – EVOLVE 63: Cedric Alexander defeated Fred Yehi. June 2016: It was announced that Cedric Alexander will compete in the 32 man WWE cruiserweight classic. June 17, 2016 – AAW: Trevor Lee defeated Andrew Everett, Cedric Alexander and Moose in a 4-way match. June 18, 2016 – PWX: Cedric Alexander defeated Zack Sabre Jr..
June 25, 2016 – CWF Mid-Atlantic: Cedric Alexander defeated Darius Lockhart to retain the PWI Ultra J title. June 26, 2016 – AML: Cedric Alexander defeated Raphael King, Rayo and Timmy Lou Retton in a 4-way, 1st round match. Cedric Alexander defeated Caprice Coleman, Jordan Kage and Sean Denny in a 4-way elimination match to win the tournament and vacant Prestige title. July 13, 2016 – WWE Cruiserweight Classic: Cedric Alexander defeated Clement Petiot in the 1st round. July 16, 2016 – EVOLVE 64: Johnny Gargano defeated Cedric Alexander. July 23, 2016 – AAW: Zack Sabre Jr. defeated Cedric Alexander. July 30, 2016 – MVW: Kevin Cross defeated Cedric Alexander. July 31, 2016 – AML: Cedric Alexander defeated Shane Strickland to retain the Prestige title. August 10, 2016 – WWE Cruiserweight Classic: Kota Ibushi defeated Cedric Alexander in the 2nd round. August 12, 2016 – NOVA: Cedric Alexander defeated Shane Strickland to retain the PWI Ultra J title. August 13, 2016 – AWE: Jimmy Rave defeated Cedric Alexander to retain the GWC title. August 19, 2016 – EVOLVE 66: TJP defeated Cedric Alexander. August 20, 2016 – EVOLVE 67: Zack Sabre Jr. defeated Cedric Alexander. August 21, 2016 – PWX: Jake Manning defeated Cedric Alexander to retain the heavyweight title. August 27, 2016 – AML: Shane Williams defeated Cedric Alexander to retain the AML title. September 1, 2016 – AAW: Michael Elgin defeated Cedric Alexander. September 2, 2016 – CHIKARA: Warriors Three (Oleg The Usurper, Princess KimberLee and The Estonian ThunderFrog) defeated Team CWC (Cedric Alexander, Drew Gulak and Johnny Gargano) in the 1st round of the King of Trios tournament. September 3, 2016 – PWG: Mark Haskins defeated Cedric Alexander in the 1st round. September 19, 2016 – RAW: Brian Kendrick defeated Cedric Alexander, Gran Metalik and Rich Swann in a 4-way match to become #1 contender for the cruiserweight title. September 22, 2016 – NXT Live Event: Cedric Alexander defeated Wesley Blake. September 23, 2016 – NXT Live Event: Cedric Alexander defeated Riddick Moss. September 29, 2016 – NXT Live Event: Cedric Alexander defeated Wesley Blake. September 30, 2016 – NXT Live Event: Riddick Moss defeated Cedric Alexander. October 7, 2016 – NXT Live Event: Cedric Alexander defeated Austin Aries. October 17, 2016 – RAW: Brian Kendrick, Tony Nese and Drew Gulak defeated Cedric Alexander, Rich Swann and TJ Perkins. October 22, 2016 – NXT Live Event: Cedric Alexander defeated Patrick Clark. October 27, 2016 – NXT Live Event: Cedric Alexander and TJ Perkins defeated Riddick Moss and Tino Sabbatelli. October 28, 2016 – NXT Live Event: Cedric Alexander defeated Elias Samson. November 4, 2016 – NXT Live Event: Cedric Alexander defeated Elias Samson. November 28, 2016 – RAW: Tony Nese defeated Cedric Alexander. December 9, 2016 – NXT Live Event: Cedric Alexander defeated Dan Matha. December 27, 2016 – 205 Live: Tony Nese defeated Cedric Alexander. January 2, 2017 – RAW: Drew Gulak defeated Cedric Alexander. January 16, 2017 – Live Event: Cedric Alexander defeated The Brian Kendrick. January 24, 2017 – 205 Live: Neville defeated Cedric Alexander. January 27, 2017 – NXT Live Event: Cedric Alexander defeated Wesley Blake. February 3-5, 2017 – Live Event: Neville defeated Cedric Alexander to retain the cruiserweight title. May 23, 2017 – 205 Live: Cedric Alexander defeated Johnny Boone. May 30, 2017 – 205 Live: Cedric Alexander defeated Corey Hollis. June 30, 2017 – Main Event: Cedric Alexander defeated The Brian Kendrick. July 11, 2017 – 205 Live: Cedric Alexander defeated Noam Dar in a I Quit match. July 25, 2017 – 205 Live: TJP and Tony Nese defeated Cedric Alexander and Rich Swann. July 28, 2017 – Main Event: Cedric Alexander defeated Tony Nese. August 8, 2017 – 205 Live: Tony Nese defeated Cedric Alexander. August 15, 2017 – 205 Live: Cedric Alexander and Gran Metalik defeated Drew Gulak and Tony Nese. September 12, 2017 – 205 Live: Cedric Alexander vs. The Brian Kendrick ended in a no contest. September 19, 2017 – 205 Live: Cedric Alexander defeated The Brian Kendrick. September 22, 2017 – EVOLVE 92: Cedric Alexander vs. Zack Sabre Jr. ended in a no contest, dark match. Cedric Alexander and Zack Sabre Jr. defeated Catch Point (Chris Dickinson and Jaka) in a dark match. September 23, 2017 – EVOLVE 93: Fred Yehi defeated Cedric Alexander in a dark match. October 3, 2017 – 205 Live: Gentleman Jack Gallagher defeated Cedric Alexander by disqualification. October 9, 2017 – RAW: Gentleman Jack Gallagher and The Brian Kendrick defeated Cedric Alexander and Mustafa Ali. October 16, 2017 – RAW: Cedric Alexander defeated Gentleman Jack Gallagher. October 22, 2017 – TLC: Cedric Alexander and Rich Swann defeated Gentleman Jack Gallagher and The Brian Kendrick. November 2, 2017 – Main Event: Cedric Alexander defeated Tony Nese. November 14, 2017 – 205 Live: Cedric Alexander and Rich Swann defeated Gentleman Jack Gallagher and The Brian Kendrick in a tornado rules match. December 11, 2017 – RAW: Cedric Alexander defeated Ariya Daivari, Mustafa Ali and Tony Nese in a 4-way match. January 9, 2018 – 205 Live: Cedric Alexander defeated Tony Nese. January 15, 2018 – RAW: Cedric Alexander defeated Tony Nese. January 20-21, 2018 – 205 Live House Show: Enzo Amore defeated Cedric Alexander to retain the cruiserweight title. January 23, 2018 – 205 Live: Cedric Alexander defeated Mustafa Ali. January 27, 2018 – Live Event: Cedric Alexander defeated Drew Gulak. January 30, 2018 – 205 Live: Cedric Alexander defeated Gran Metalik in the 1st round of the cruiserweight title tournament. February 16, 2018 – Main Event: Cedric Alexander defeated Ariya Daivari. February 27, 2018 – 205 Live: Cedric Alexander defeated TJP in the quarter-finals of the cruiserweight title tournament. March 9-10, 2018 – Live Event: Cedric Alexander defeated TJP. April 8, 2018 – WrestleMania 34 Kickoff: Cedric Alexander defeated Mustafa Ali to win the tournament and vacant cruiserweight title. April 10, 2018 – 205 Live: Cedric Alexander had his cruiserweight title celebration, but was interrupted by Buddy Murphy. April 27, 2018 – Greatest Royal Rumble: Cedric Alexander defeated Kalisto to retain the cruiserweight title. May 11, 2018 – Main Event: WWE cruiserweight champion Cedric Alexander defeated Tony Nese in a non-title match. May 16-18, 2018 – Live Event: Cedric Alexander defeated Mustafa Ali to retain the cruiserweight title. June 1-3, 2018 – Live Event: Cedric Alexander defeated Buddy Murphy to retain the cruiserweight title. July 6-8, 2018 – Live Event: Cedric Alexander defeated Buddy Murphy to retain the cruiserweight title. July 10, 2018 – 205 Live: Cedric Alexander defeated Hideo Itami to retain the cruiserweight title. July 31, 2018 – 205 Live: WWE cruiserweight champion Cedric Alexander defeated The Brian Kendrick in a non-title match. August 14, 2018 – 205 Live: WWE cruiserweight champion Cedric Alexander defeated Gentleman Jack Gallagher in a non-title match. September 4, 2018 – 205 Live: WWE cruiserweight champion Cedric Alexander defeated TJP in a non-title match. September 7-9, 2018 – Live Event: Cedric Alexander defeated Buddy Murphy to retain the cruiserweight title. September 12, 2018 – 205 Live: Drew Gulak and Gentleman Jack Gallagher defeated Akira Tozawa and Cedric Alexander. September 19 2018 – 205 Live: Cedric Alexander defeated Drew Gulak to retain the cruiserweight title. September 30, 2018 – Live Event: Cedric Alexander defeated Buddy Murphy to retain the cruiserweight title. October 6, 2018 – Super Show-Down: Buddy Murphy defeated Cedric Alexander to win the cruiserweight title. October 10, 2018 – 205 Live: Tony Nese defeated Cedric Alexander. November 14, 2018 – 205 Live: Cedric Alexander defeated Lio Rush. November 28, 2018 – 205 Live: Cedric Alexander and Mustafa Ali defeated Buddy Murphy and Tony Nese. December 12, 2018 – 205 Live: Cedric Alexander defeated Tony Nese. January 9, 2019 – 205 Live: Hideo Itami defeated Cedric Alexander to become #1 contender for the cruiserweight title. February 2, 2019 – WWE World Collide Tournament (Taped): Tyler Bate defeated Cedric Alexander in the 1st round. Cedric Alexander was in the 1st round battle royal won by Jordan Devlin. February 19, 2019 – 205 Live: Cedric Alexander defeated Mike Kanellis w Maria Kanellis. 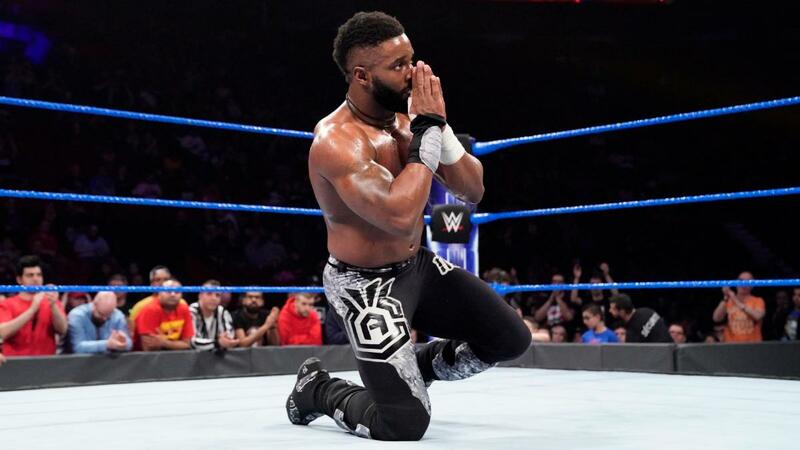 March 5, 2019 – 205 Live: Cedric Alexander defeated Akira Tozawa in the 1st round. March 19, 2019 – 205 Live: Tony Nese defeated Cedric Alexander to win the tournament and becoming #1 contender for the cruiserweight title. Being apart of the Cruiserweight division will always have a special place in my heart. Some of my greatest accomplishments are because of the opportunities that @WWE205Live presented to me. I'm excited for the move to #RAW and new goals I can achieve! I hope we get some @CedricAlexander and @AliWWE merch sometime this year. It'll mean a lot to them both.